High volume printing commonly known as bulk printing is the need of almost every organization. High volume or bulk printing means fast and flawless printing in larger quantity. 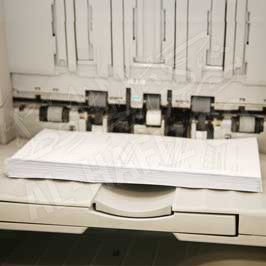 Modern laser printers are designed to print thousands of pages in a day. Alhafiz Copy Center has high speed printers to meet printing requirements in larger quantities. 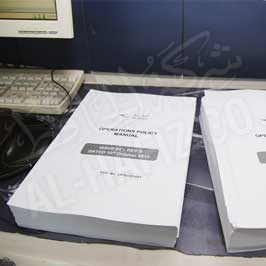 Black and white bulk printing is required for various purposes including printing of books, black & white flyers, educational and official documents. We make sure that each print is clear and crisp and quality is maintained throughout the task. Black & white laser printers can handle any number of prints with consistent quality and produce sharp images. Color Laser Printers at Alhafiz Copy Center are highly efficient and can print on variety of papers in different sizes. We offer high volume/bulk color printing of letterheads, brochures, leaflets, magazines, catalogues, posters and college/university yearbooks. We can save time with these modern laser printers and offer fast turnaround. Our high performance color laser printers are capable of bulk printing in excellent quality while remaining in your budget.